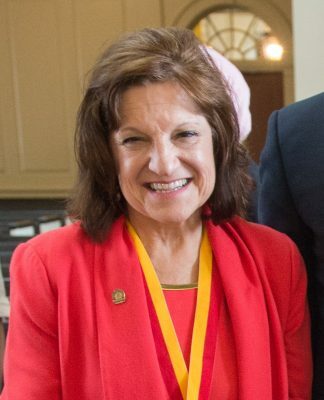 After more than 30 years as director of the Slutzker Center for International Services, Pat Burak has announced she will be leaving her post in the Division of Enrollment and the Student Experience to pursue a full-time teaching opportunity in the College of Arts and Sciences. Rob Hradsky, senior associate vice president and dean of students, says Burak has been a tremendous and dedicated member of the team. Burak joined the Syracuse University community more than 40 years ago and began teaching in 1984 in the College of Arts and Sciences and eventually the Renée Crown University Honors Program. Throughout her tenure at the Slutzker Center, Burak has taught in the Department of Languages, Literature and Linguistics. After a devoted career in international student services, she says she is excited to pursue her love of teaching full time. The Division of Enrollment and the Student Experience has announced George Athanas will serve as interim director. Athanas, a seasoned leader in the Office of Residence Life, will provide guidance and leadership while the division works to identify new opportunities to strengthen international student services and internationalization, as identified in the Academic Strategic Plan. The University will conduct a national search.